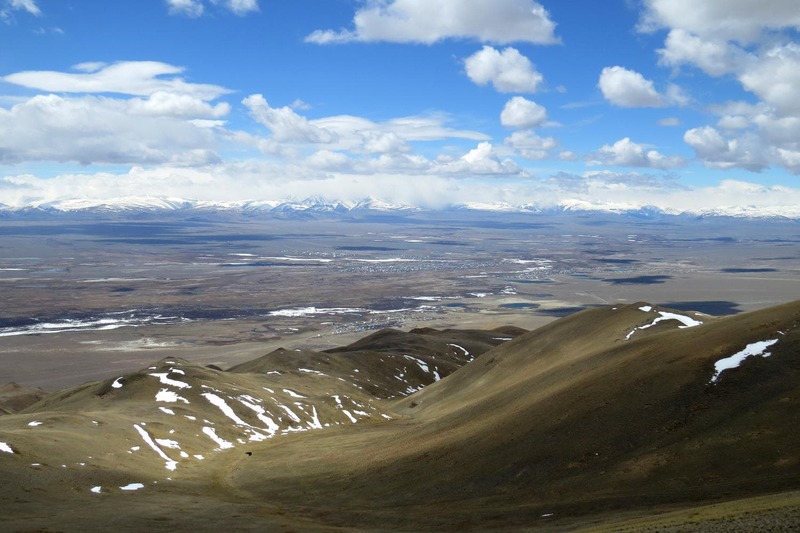 The Chuya Steppe is an intermountain basin situated in the south-east of Russian Altai. The size of the steppe is 70 km long and approximately 10 to 40 km wide. The Chuya steppe is surrounded from all sides by mountain ridges – the Kurayskiy Range is the border on the north side of the steppe, the North-Chuysky and South-Chuysky ranges are on the west side, on the east side you will see the Chikhachev Range, and on the south side- Sailugev Range. The southern edge of the steppe is the border with Mongolia. The steppe is located rather high, 1750-1850 meters above sea level. Such altitude determines very severe climate. 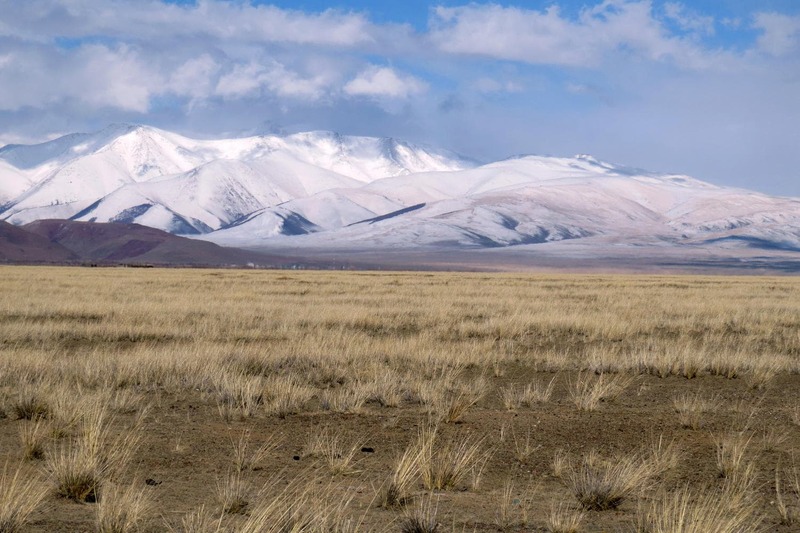 The Chuya Steppe is the driest and coldest place of Russian Altai. The frost-free season lasts only 50-65 days a year. Winters are windy, the average temperature of January is -32 °C, sometimes it can drop to -60 °C. The average temperature in July is +13,8 °C but during the day it can reach +30 °C. Due to the cold climate, a thick subsurface layer of soil (15-90 metres) remains below the freezing point throughout the year (permafrost). At the same time, the Chuya Steppe is one of the sunniest places in Russia. There are about 250-300 sun-filled days per year here. That’s why a large solar power plant was installed near Kosh-Agach in 2014, it was the first in the region and the biggest in Russia. The main river in the basin is Chuya which gave the name to the whole steppe. The river Chuya and its side-streams have a relatively calm flow on the Chuya steppe. Many small lakes can be found, and some of them are salted. Scientists have found therapeutic muds in them which can be used in health resort treatment. Because of the lack of the precipitation (80-150 mm per year) there is no lush greenery here. Drought- and salt tolerant plants dominate here. Among the few species of plants you will find sagebrush, feather grass, coach-grass and sedge. That makes the steppe coloured in all tinctures of brown and yellow. Fauna of the Chuya steppe is very specific. Many endangered animals such as antelopes, foxes corsac and Pallas’ cats find their natural habitat here. Many species of rodents live there – ground squirrels, marmots, jerboas, wall-creapers and hamsters. In the Chuya Steppe one can see such rare species of birds as Imperial Eagle, Black Vulture, Sacer Falkon, Whooper Swan, Demoiselle Crane, endemic species Altai Snowcock, Brandt’a Mountain Finch. Besides, such species as Bar Headed Goose and Ruddy Shelduck nest on the shores of beautiful unique alpine lakes. 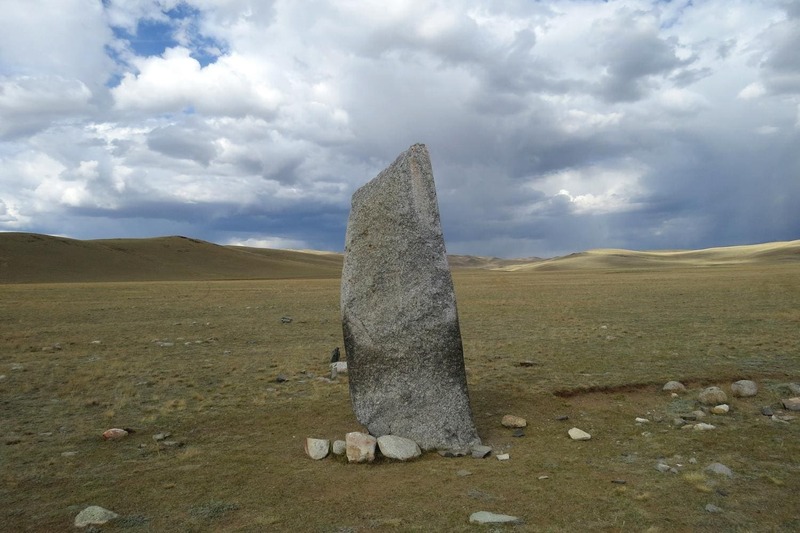 A great number of archeological monuments can be found close together in the Chuya steppe. Different interesting sites of paleolith, monuments of the Bronze and the Iron Ages – burial mounds, stone stelaes, megaliths, rock paintings and even remains of pottery kilns and metallurgical furnaces are among them. Almost the same amount of rock paintings can be found in the Chuya steppe as in the Sahara where you can find the richest monuments of the ancient world art and even compared to the Southwest of the US. The steppe is located rather high, 1750-1850 meters above sea level. Such altitude determines very severe climate. The Chuya Steppe is the driest and coldest place of Russian Altai. The frost-free season lasts only 50-65 days a year. Winters are windy, the average temperature of January is -32 °C, sometimes it can drop to -60 °C. The average temperature in July is +13,8 °C but during the day it can reach +30 °C. Due to the cold climate, a thick subsurface layer of soil (15-90 metres) remains below the freezing point throughout the year (permafrost). At the same time, the Chuya Steppe is one of the sunniest places in Russia. There are about 250-300 sun-filled days per year here. That’s why a large solar power plant was installed near Kosh-Agach in 2014, it was the first in the region and the biggest in Russia. Fauna of the Chuya steppe is very specific. Many endangered animals such as antelopes, foxes corsac and Pallas’ cats find their natural habitat here. Many species of rodents live there – ground squirrels, marmots, jerboas, wall-creapers and hamsters. In the Chuya Steppe one can see such rare species of birds as Imperial Eagle, Black Vulture, Sacer Falkon, Whooper Swan, Demoiselle Crane, endemic species Altai Snowcock, Brandt’a Mountain Finch. Besides, such species as Bar Headed Goose and Ruddy Shelduck nest on the shores of beautiful unique alpine lakes.